Robert Burns poetry – marathon reading!!! This special message from Leith Davis, director for the Centre for Scottish Studies, Simon Fraser University. Vancouver Whitecaps and many more! the work of Scotland's bard for 4.5 hours! This free event is open to the public so please come and cheer us on for the Robbie Burns Day celebration. There will be refreshments and entertainment for all! Haggis, shortbread, coffee and tea will be served throughout the event. *We would like to thank our sponsors of the event: The British Store; Goodricks Meat Products (New Westminster); and the West Coast Liquor Company (Vancouver); and Radio Dial Entertainment (Vancouver). This entry was posted in Literary Events, Main Page, Robbie Burns Day, Robert Burns & Burns poetry, Scottish, Gaelic, Irish Celtic events and stories on January 25, 2012 by Todd. of Ten is $625+ service charge. – the most auspicious and sacred animal of the Chinese Zodiac. musical, poetic, delicious, historical nor educative. Gung Haggis Fat Choy – Now it is a dinner for 400 people! artists and poets and their innovations to create something uniquely Canadian. 1998 – 1st Gung Haggis Fat Choy Dinner for 16 people in a living room. Jeff Chiba Stearns, Ann-Marie Fleming and Moyra Rodger. haggis won ton + haggis pork dumpling (su-mei) and appetizer courses. served Chinese style in the form of pan-fried turnip cake, dim sum style. haggis is served with Chinese lettuce wrap. Over the Ocean, and When Asian Eyes Are Smiling. lyrics set to Johnny Cash or Elvis Presley music. 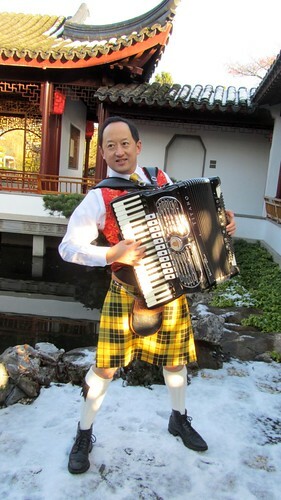 This entry was posted in 2012 Gung Haggis Fat Choy Dinner, Asian Canadian Cultural Events, Cultural Fusion, Gung Haggis Fat Choy dinner, Main Page, Multicultural events, Robbie Burns Day, Robert Burns & Burns poetry, Scottish, Gaelic, Irish Celtic events and stories, Todd Wong on January 18, 2012 by Todd. Deb took some pictures of Raphael taking pictures of me. The top and bottom pictures were posed exclusively for Deb, after Raphael had left, as we took advantage of the wonderful setting. This is me reading Robbie Burns' poetry to the pet dragon on my right shoulder. Somehow, I thought this would make me more scholarly if we took the picture inside the Scholar's Study. 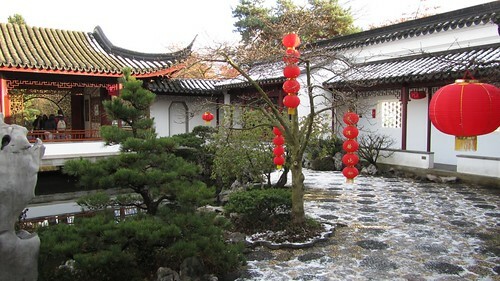 The Dr. Sun Yat Sen Gardens looked incredible with the freshly fallen snow, and the red lanterns set up for the Chinese Lunar New Year season. 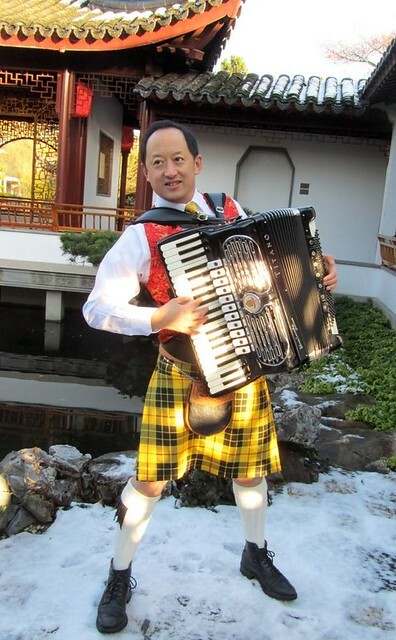 On January 29th, I will be returning to the gardens to play accordion with my fellow musicians in the Black Bear Rebels Celtic Ceilidh ensemble for the Chinese New Year celebrations. We play 2 sets at 2:30 and 3:30pm. The parade starts at 12 noon and goes to 2pm, so be sure to visit us! This entry was posted in 2012 Gung Haggis Fat Choy Dinner, Accordions, Asian Canadian Cultural Events, Chinatown Vancouver, Cultural Fusion, Gung Haggis Fat Choy dinner, Main Page, Robbie Burns Day, Robert Burns & Burns poetry, Scottish, Gaelic, Irish Celtic events and stories, Todd Wong on January 16, 2012 by Todd. 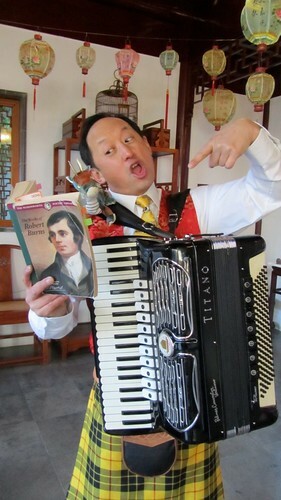 Seattle Met magazine discovers Gung Haggis Fat Choy dinner in Seattle! and Gung Haggis Fat Choy Dinner in Seattle! 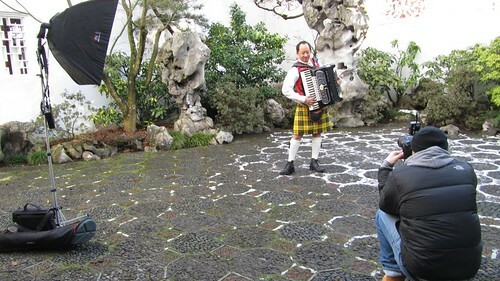 Check out this story in the Seattle Met magazine, about Gung Haggis Fat Choy dinner history, Toddish McWong origins and the upcoming Gung Haggis Fat Choy Robbie Burns Chinese New Year dinner in Seattle. A Vancouverite brings his Chinese and Scottish mash-up to Rain City. 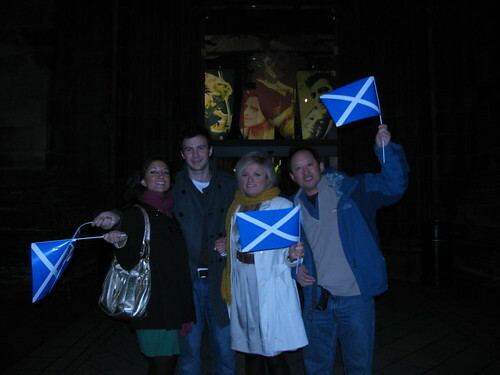 Scotland, and earned him an introduction to the Scottish First Minister. supper, a nod to the eighteenth-century Scottish poet. really interesting way to look at multiculturalism—to flip stereotypes. Seattle’s Caledonian and St. Andrew’s Society (he’s Clan MacLaren). surely the way the Scottish bard intended. This entry was posted in Asian Canadian Cultural Events, Cultural Fusion, Food & Restaurants, Gung Haggis Fat Choy dinner, Kilts - wearing kilts, Literary Events, Main Page, Multicultural events, Music, Robbie Burns Day, Robert Burns & Burns poetry, Scottish, Gaelic, Irish Celtic events and stories, Seattle Gung Haggis Fat Choy, Theatre, Vancouver Area Adventures on February 20, 2011 by Todd. Room 1400, SFU Harbour Centre, 515 W. Hastings Street. Na Maragan aig Ruairidh Traditional Strathspey / arr. This entry was posted in Kilts - wearing kilts, Main Page, Multicultural events, Robbie Burns Day, Scottish, Gaelic, Irish Celtic events and stories, Upcoming Events on February 17, 2011 by Todd. 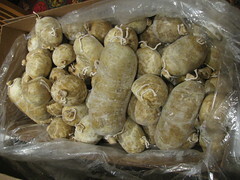 2011 Gung Haggis Fat Choy is a big success… or was it Gung HAPA Fat Choy? 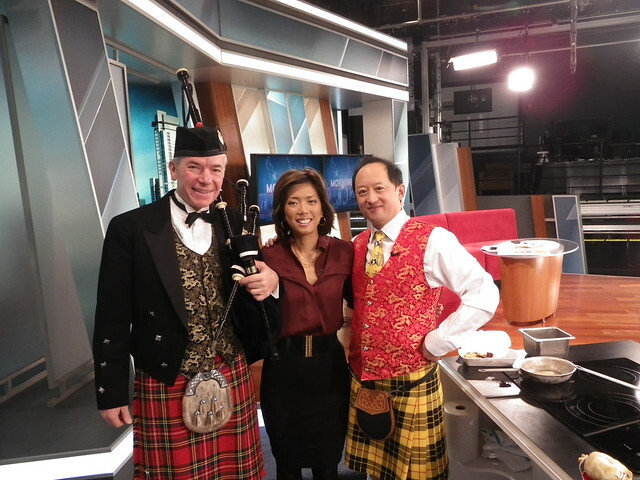 GUNG HAGGIS FAT CHOY VANCOUVER! Joe McDonald on pipes, accordion, Address to the Haggis, and Highland Fling. All photos below from our official photographer Lydia Nagai. Members of the audience joined performers on stage to sing Auld Lang Syne for the closing song. After the singing was over, a posed picture of kilts and legs, was taken! This entry was posted in 2011 Gung Haggis Fat Choy Dinner, Asian Canadian Cultural Events, Bagpipes, Chinatown Vancouver, Cultural Fusion, Food & Restaurants, Gung Haggis Fat Choy dinner, Hapa culture, Kilts - wearing kilts, Literary Events, Main Page, Multicultural events, Music, politics and politicians, Recent Reviews, Robbie Burns Day, Robert Burns & Burns poetry, Scottish, Gaelic, Irish Celtic events and stories, Todd Wong, Vancouver Area Adventures on February 3, 2011 by Todd. Where do you get your haggis from? 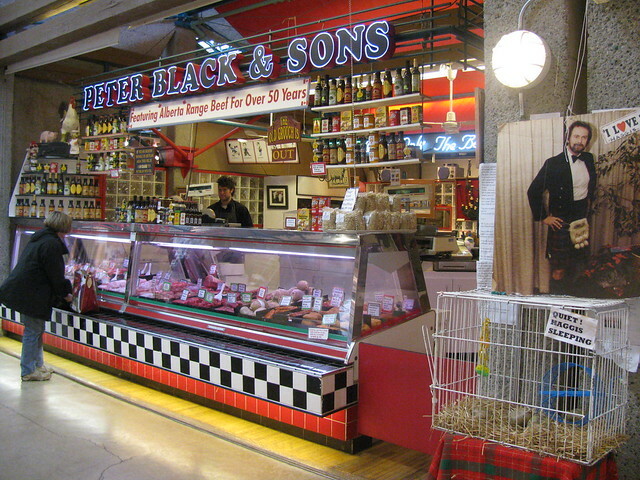 I have bought my haggis from Peter Black & Sons, at Park Royal in West Vancouver since 2000, with the exception of 2001, which I regretted. So every year in early January, I phone up Peter Black & Sons to put in my order – or they phone me to confirm. Or as was the case this year, they made up my usual order, then told me it was ready. They are great people. 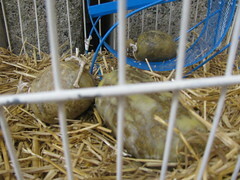 Wild haggis “sleeping” in the cage. 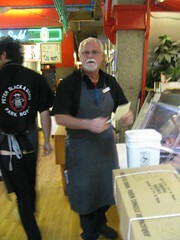 Peter Black looks over the big box of 60 small one pounders of haggis. 40 wee haggi (plural) + 1 big 3 pounder, and a 2 pounder. How to cook a haggis. – Click on the picture. 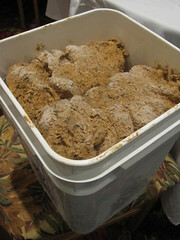 Frozen raw haggis, without the casing. 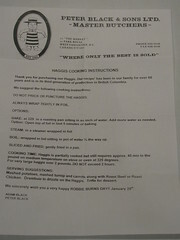 We take a bucket of haggis to the restaurant, and they use it to make the haggis won ton and the haggis pork dumplings. 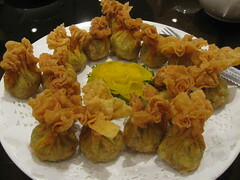 Deep-fried haggis won ton! yum yum…. Now the finished product looks inviting… next step: dip them in sweet sauce! 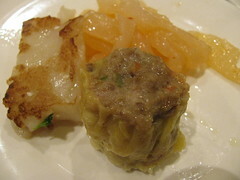 Haggis pork dumpling (Su-mei), with turnip cake (lo-bak-goh) and spicy jelly fish. This entry was posted in 2011 Gung Haggis Fat Choy Dinner, Cultural Fusion, Food & Restaurants, Gung Haggis Fat Choy dinner, Main Page, Robbie Burns Day on January 30, 2011 by Todd.